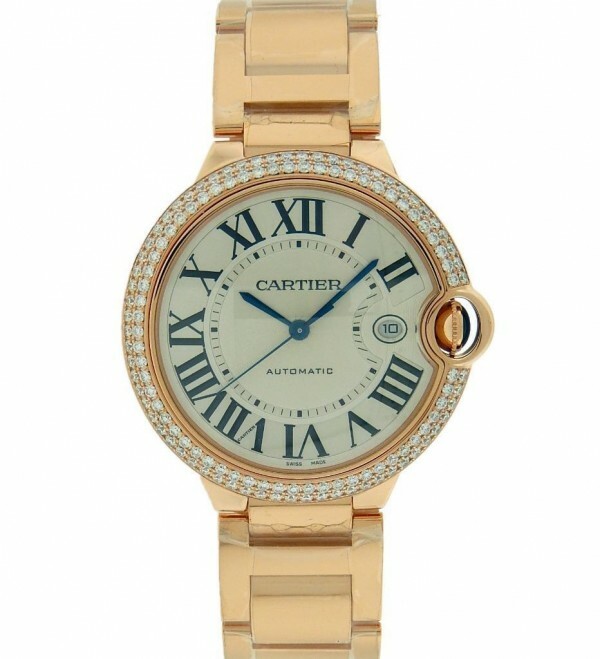 Own this beautiful Cartier Ballon Bleu Automatic Rose gold watch enjoy such beauty you can expect from Cartier. 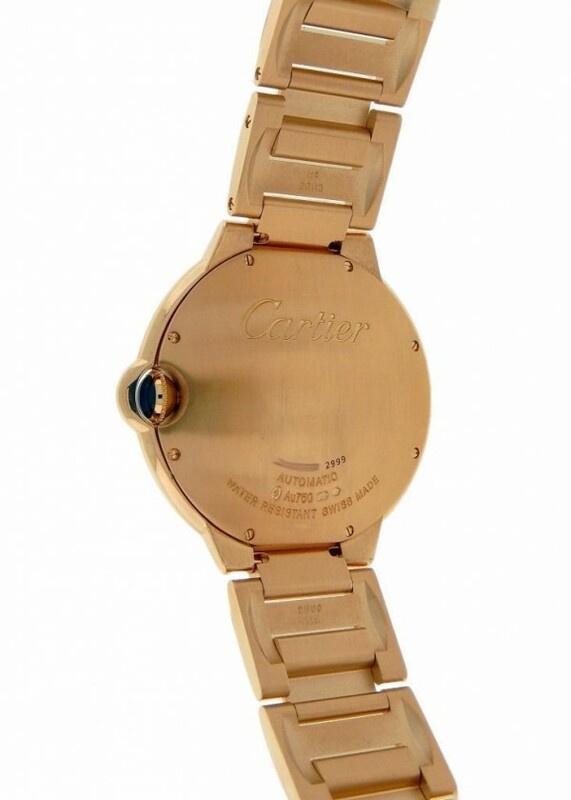 Watch offers you an 42mm Rose Gold case and bracelet. Watch has original factory setting diamonds, double row. Watch still has its factory stickers on the bracelet. Watch makes a great gift. Wear it in great health.